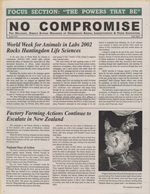 Many of the participants in the first boom of U.S. animal liberation activity were radicals, and not just when it came to their critique of non-human slavery. As I have mentioned in previous posts, speciesism is so intrinsic to most cultures that people embracing a pro-animal ethic almost always came from the fringes. 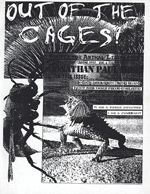 These early pioneers pushed the message, took direct action, and put the plight of animals front and center in works of art, music, and literature. What became of these rebels when the movement became more mainstream, and thus more profitable to the careerists at national organizations? 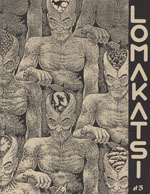 As a generation of gray, corporate pseudo-activists began to wield suits and ties instead of spanners and bolt cutters the old guard revolted in a variety of ways- one of which was an eclectic, anarchist journal known as Lomakatsi. 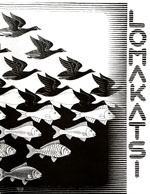 Taking the Hopi word for “Life in Balance,” a small collective of artists and activists set out to reject the dominant themes running through other, tamer publications. More than that, they started a project to live communally on a small parcel of land and experiment with more sustainable, less technological ways of living. 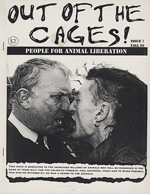 By sharing their space with each other, and their thoughts with the world, the rebels continued to have an impact on the direction of the mvoement. 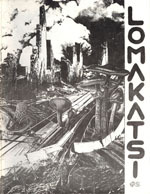 During it’s short life, Lomakatsi circulated about 1,000 copies per issue, introduced anti-civilization themes to AR folks through articles by John Zerzan, (And a letter from Feral Faun in one issue!) 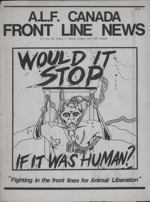 and stirred up plenty of controversy. 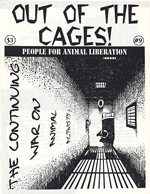 Each issue contained DIY instructions for sabotage, oddball illustrations and comics, and advocacy for some ideas that were challenging to say the least. 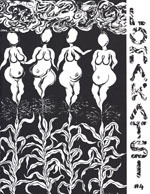 Their intentional community eventually stopped producing a journal, but those following animal liberation history will certainly see the influence that Lomakatsi had on our movement’s dialogue as we moved into the 1990s. 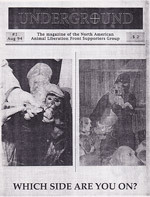 Underground was published by the North American Animal Liberation Front Supporters Group and was essentially a continuation of the old Canada ALFSG publication, Combat. 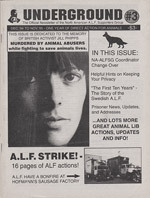 Because the NAALFSG went through constant staff changes, police raids, and office burglaries, the magazine often went long stretches between installments, but the first year managed to produce three long, enjoyable issues . 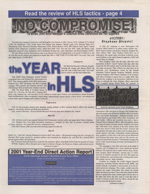 The early editions of this magazine were the most essential, as the quality lagged by the end of its run. 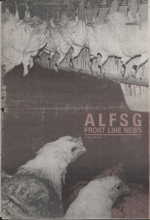 Articles with practical advice on everything from handling grand jury subpoenas to sabotaging steel jaw leg hold traps appeared during this era, and the tone of the magazine was measured and reasonable. 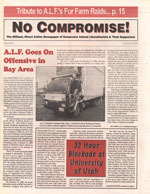 Commentary on how targeting of actions should account for political repercussions and avoid unintended racist and classist undertones showed a maturity seldom seen in other movement papers at the time. 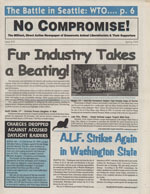 Of historical importance is the coverage of grand juries in the 90s, early attempts at organizing AR activists on the internet, the frequent and ignored violence against animals activists, and the death of Jill Phipps during the campaign against live exports. 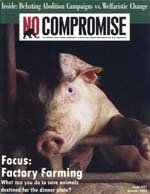 Young activists would do well to read these issues, as the time period covered spans the gap between the end of Out of the Cages, Militant Vegan, Dressed in Black, and the start of No Compromise. 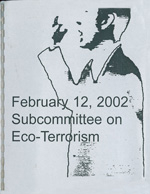 On a final, sad note, much of the best content for Underground was written by, or about, Canadian activist Darren Thurston. 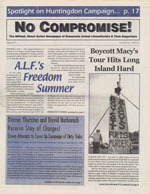 Darren was an inspiration to the movement, and participated in a number of high profile actions that earned him jail time and constant surveillance. 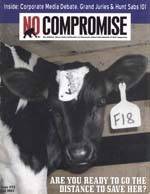 After years of fighting bravely for animal liberation, Darren unexpectedly became a government informant and stopped being vegan during his last sentence in federal prison. 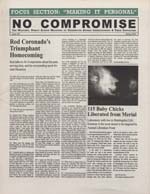 The staff of Conflict Gypsy would like to assert that publication of his old articles is for archival purposes and should not be seen as forgiveness or support for his treacherous actions. 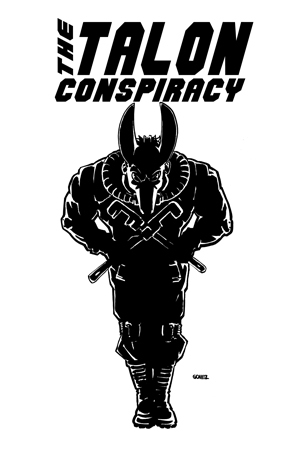 Also see Underground 4-6, Underground 7-9, Underground 10-13, Underground 14-15, Underground 16 and the final rare issue Underground 17.